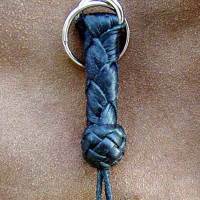 Custom hand braided leather lanyards can attach to about anything. 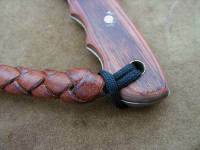 Durable deer and elk leathers with a strong core and split rings can attach to badges, whistles or anything else that you need connected. 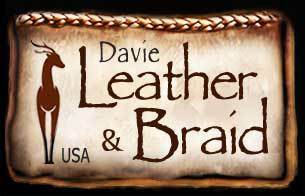 ​We accept custom orders on lanyards. 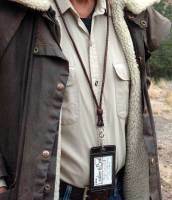 We will work with you to make the connection. 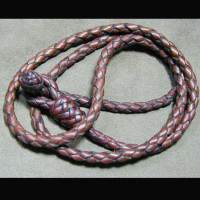 Custom lengths, colors, diameters and connections. 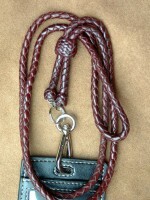 Elk Leather and 500 parachute cord lanyard. 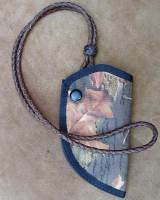 The lanyard loops back on itself with the parachute cord made to slip thru the lanyard to loosen or tighten up the loop. 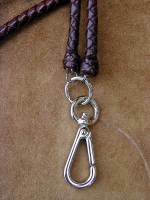 Deer leather braided lanyard about 18" long. 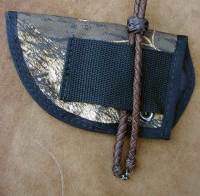 Can attach to about anything. 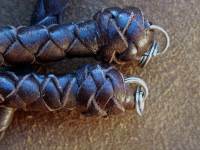 Has split rings for simple attaching. 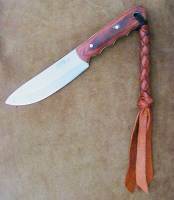 Russet deer leather with pineapple slide knot and chrome hook. 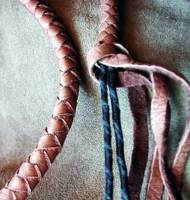 Deer leather braided lanyard about 38" long. 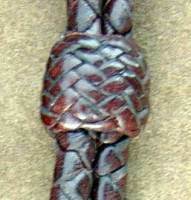 herringbone pineapple knot. 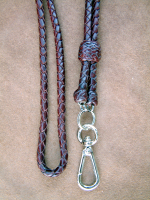 About 38"
Custom lanyards to your making. 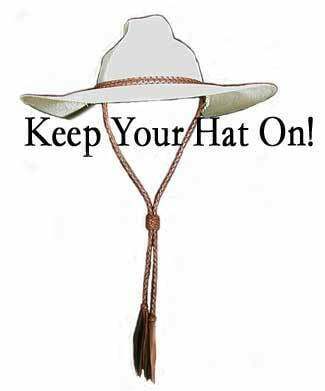 Need a special size or diameter?